Float-in, floodable garages may sound like a fantasy but as mega-yacht technology evolves so does one of the most important parts of the yachting experience, the dinghy or tender. Every mother-ship needs a way to transport passengers to and from shore or the dock when the yacht is anchored or underway. 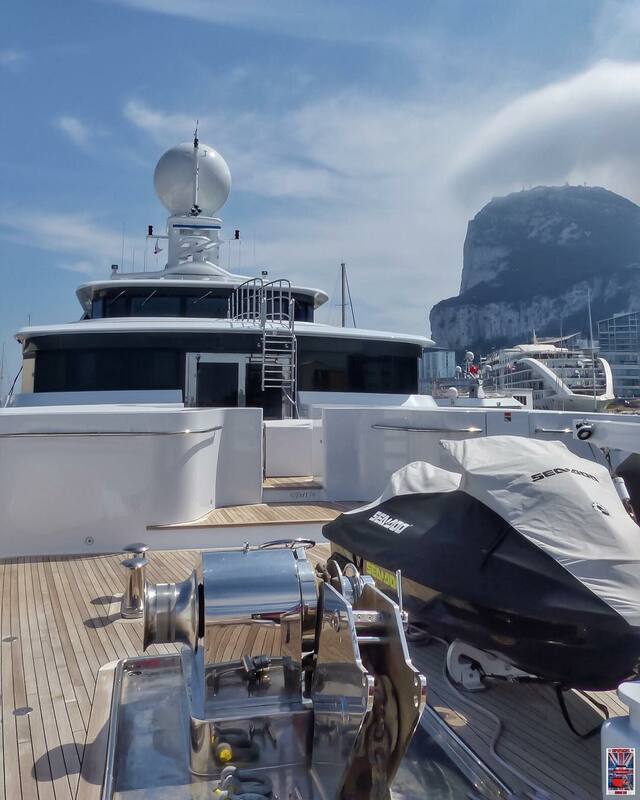 Although some yachts are equipped with helicopters, tenders remain the golden standard for ferrying guests and owners to and from their mega-yachts. Many yachts have custom built tenders that match the lines or color scheme of their mother-ships. What’s most unique is the way that mega-yachts store their tenders. Most large yachts carry a small fleet of tenders. All of them are stored in on-board “garages” or on chocks and launch through different methods. Many yachts utilize a davit system to retrieve tenders from their garages but in recent years certain builders have started incorporating float-in, flood-able garages to their designs. 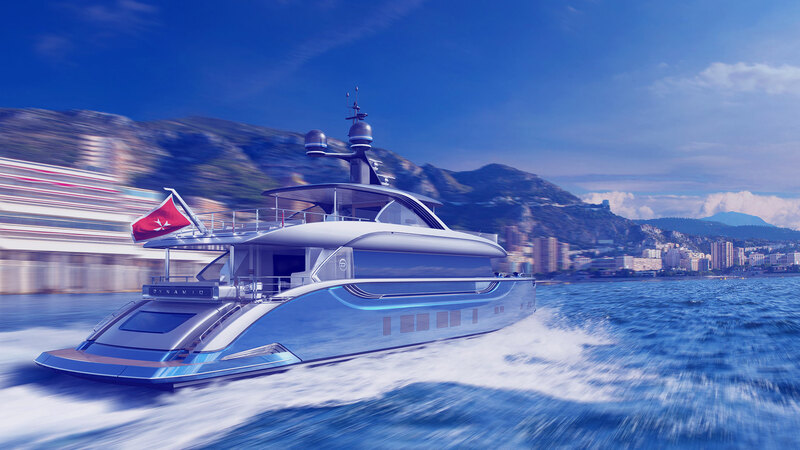 The size of a yacht’s tender is only limited by the size of the mother-ship and the space the builder and owner wish to allocate for its storage. Paul Allen’s 414′ Lurssen mega-yacht, Octopus, is equipped with a submarine and 63′ express yacht. Kleven’s 351′ explorer mega-yacht “Ulysses” was launched in 2015 and has a custom 70′ expedition catamaran it uses as a tender. There are two custom davits in the fore-deck that were designed to bear the weight of this particular tender. For all the areas where the mother-ship can’t go the explorer tender will allow the owners and guests to spend extended time away exploring new areas. Pictured below is Codecasa’s 213′ (63m) Double-Down with a davit and jet ski stored on the fore-deck. 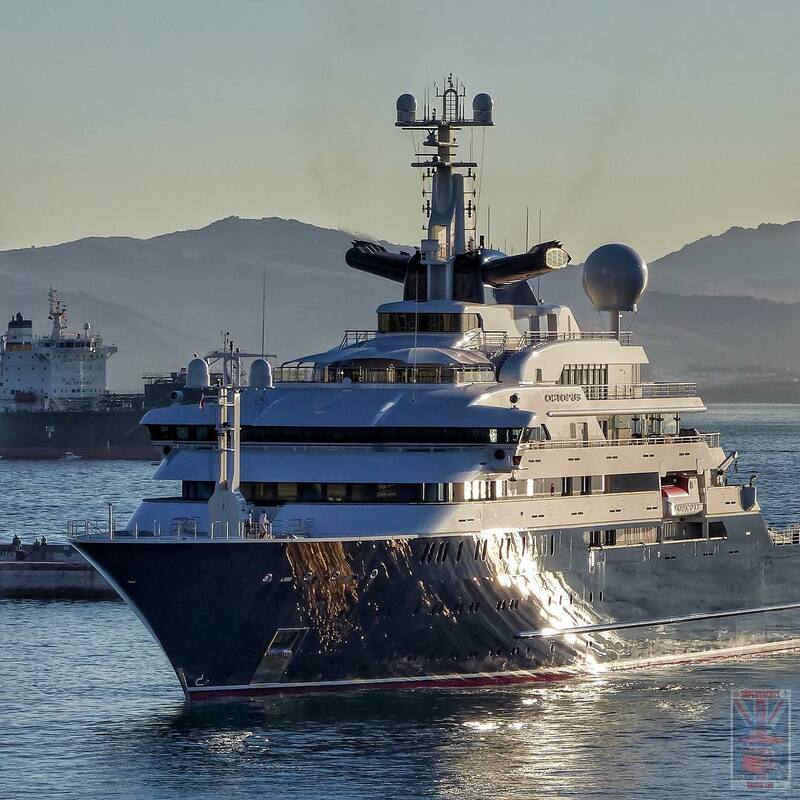 Pictured below is Microsoft co-founder Paul Allen’s super-yacht, Octopus. Built by Lurssen in 2003 it features a stern garage complete with a submarine and 63′ express yacht to take guests to areas where the mother-ship can’t go due to draft or other size constraints.